Science is convincing many companies to turn to meditation to help improve productivity and efficiency. Companies who have implemented meditation training and encouraged employees to take time out for meditation each day have discovered that meditation makes for happier and better-rounded employees, in addition to improving their productivity and efficiency. Scientific evidence and experiences are proving how meditation leads to success. ScienceDirect’s research article shows how long term meditation increases grey matter in the brain. NCBI’s article shows how meditation experience increases cortical thickness in the brain. Reduce Stress: Stress is something that most people experience on a daily basis; not just at work, but with everyday life. Stress inhibits productivity and can make a job not very enjoyable. Living with stress on a regular basis can cause health issues including anxiety, stomach ulcers, autoimmune diseases, high blood pressure, heart disease, and depression just to name a few problems. The way that meditation reduces stress is by training your body how to release it. Meditation teaches you how to stay in control of your emotions and tame the “flight or fight response” that is the reason we experience stress. When you stay in control of these instincts and emotions, it prevents you from reacting irrationally, and keeps you healthy and happy too. Improve Focus and Concentration: Multitasking has become a part of everyday life, even though our brains are not capable of it. Neurology research has shown that it is impossible for the human brain to multitask. Despite our constant efforts to do two things at once, we are not really doing anything at all; at least not as efficiently as possible. Meditation allows you to concentrate and focus on one thing at a time. Your brain learns to shut out distractions, which increases your efficiency. Increases Social Connection and Emotional Intelligence: Your attitude definitely affects your performance at work. Meditation helps you shrug off negative interactions with co-workers and strengthens the emotional connections. For leaders, it helps enhance your ability to lead with compassion. Bill Ford, Executive Chairman of the Ford Motor Company explains how meditation helped him learn to go through his day with compassion. Improve Your Creativity: Meditation clears your mind. This can help you be more receptive to new ideas and also doesn’t bog down your brain with multiple ideas. Instead, a clear line of thought and focus helps you solve problems and be more accepting of new ideas while seeing things from a different perspective. 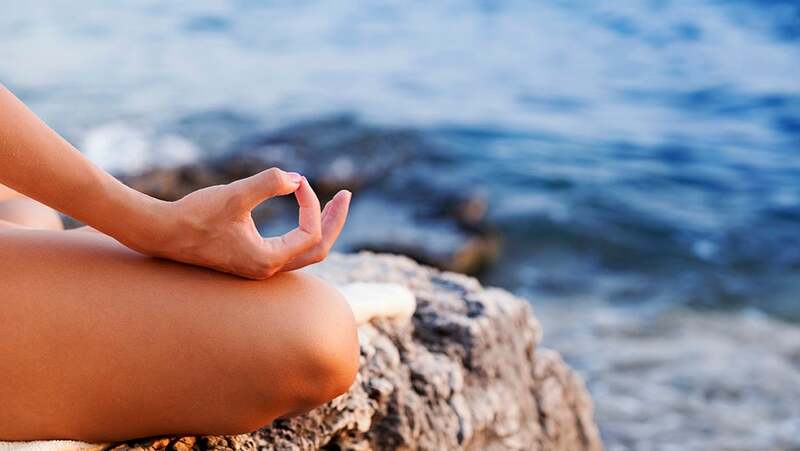 Improve Your Health: You will notice that each of our 5 benefits of meditation are closely tied into each other, Our first point, about meditation reducing stress, definitely brings in some positive health benefits. However, there are other ways that meditation improves your health. One way to improved health is causing you to simply feel more energy and refreshed when you meditate. Mediation actually slows down aging. Then there are the many ways meditating can help your improve health, including increasing immune function, decreasing pain, and reducing inflammation at a cellular level. If the science and real world experiences isn’t enough to push you to implement meditation training for your company, look to some incredibly successful people who have regularly practiced meditation and attribute it to their success. Executives like Ray Dalio, founder of Bridgewater Associates, Bill Ford of the Ford Motor Company, Rupert Murdoch of News Corp, Russell Simmons of Def Jam Records, Oprah Winfrey, and Arianna Huffington are all outspoken proponents of meditation. Successful Fortune 500 companies like Google, Apple, AOL, and Green Mountain Coffee Roasters all offer meditation and mindfulness classes for their employees. Many of these companies have meditation rooms and allow employees time to meditate, because they know if improves their work output. Meditation courses are a growing trend for many industries, especially those known for high stress and pressure like Wall Street financial companies. For most of us, life is busy and we are always juggling tasks and responsibilities and worrying about something. Meditation helps your brain remain calm and handle your life better.